Sam is the department's leader in electronic media regulation, global communications, broadcast news writing, screenplay writing, media programming, and broadcast operations. He advises students emphasizing in electronic media. Lovato has worked professionally for KGRQ, KRYT, KOAA, KYZX, KDZA, and KILO. Sam has been honored three times by the Broadcast Education Association for distinction in audio production, including the Award of Excellence at the 2003 International Festival of Media Arts. Lovato is the faculty advisor to Colorado State University-Pueblo's award winning radio station Rev 89. Under Lovato’s mentoring Rev 89 was honored in 2014 with the National Signature Station Award. This refereed recognition is the Broadcast Education Association’s highest radio honor; the prize represents a zenith in research, practice, pedagogy, creativity, and critical thought. 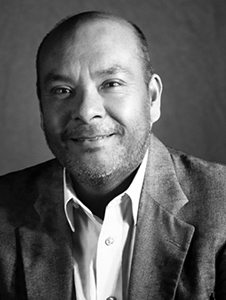 Lovato received the University award for Advising/Mentoring in 2015; he is the CSU-Pueblo Honors Program Faculty Fellow for 2019. Sam's academic interests include social media, propaganda, obscenity and indecency, radio programming strategies, and U2. His personal interests include music, collecting, camping, and travel.